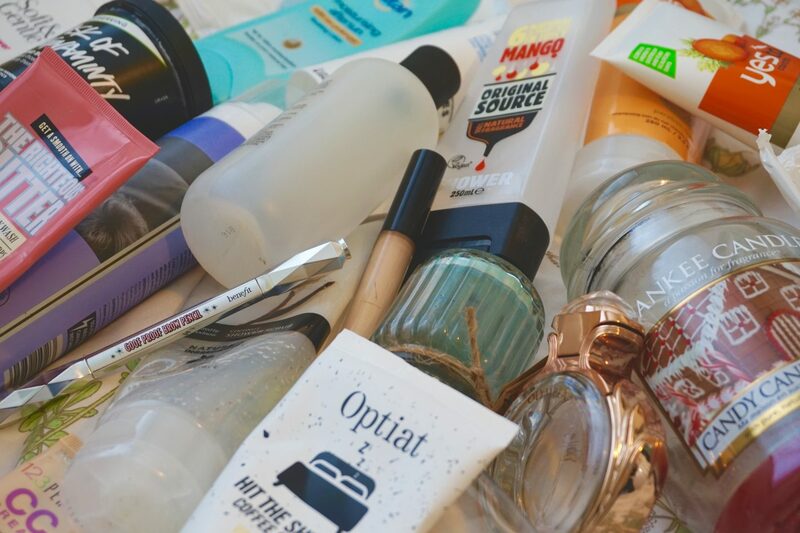 It’s that time again, I can’t fit another product in my empties bag which means it’s time to tip them all out, take a few cheeky photos and share my opinions on them with you. This month I’ve managed to use up some old faves and also try some new bits, so here are the good and the bad of the last month- WARNING there are a lot. 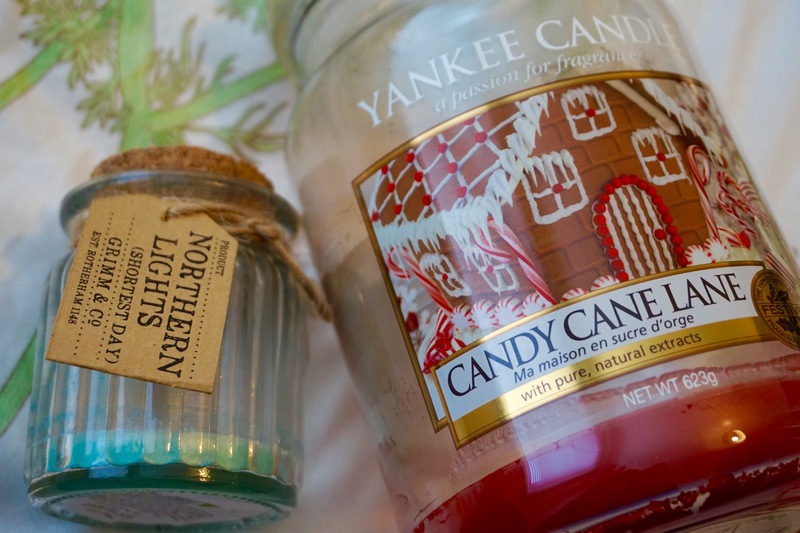 I’m gonna mix it up and do candles first this time so you don’t all get bored of my shower gel ramblings like last month. So I’m aware this is a Christmas scent but I am starting to prepare to move house and there wasn’t much of this left so I decided to burn the remaining wax so I could get rid of the bulky jar. This is one of my favourite candle scents- and the minty smell has helped me clear up my cold (Who gets a cold in June????). Would I repurchase? Yes come Christmas time I’m sure I’ll be after a fresh jar. You can’t link the actual product here as there is no online shop, but this is a candle from the Apothecary shop/ Writing centre I have been volunteering at, it had a really sweet scent which I burned when we had the really hot weather. Would I repurchase? Yes but I would try a different scent just for variety and also the money goes to a good cause. 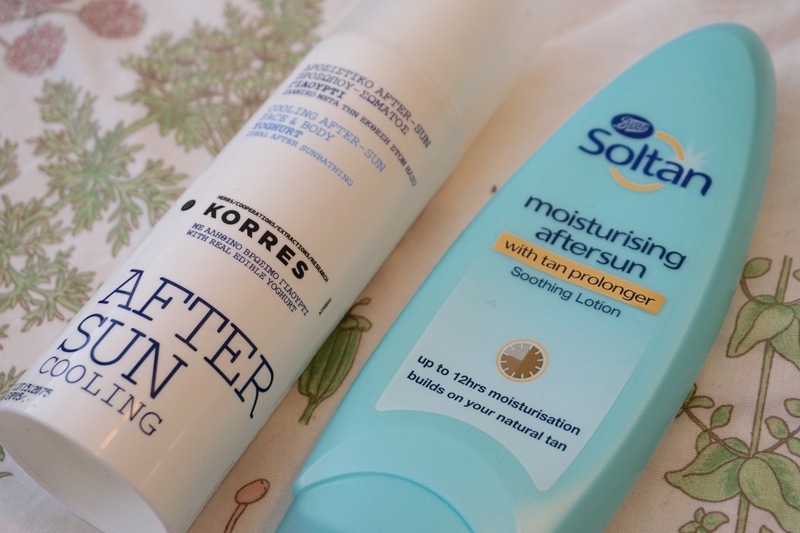 This was an emergency buy in the airport on the way home from Crete last year when me and Josh both caught the sun on our last day. This after-sun is really cooling and smells gorgeous! It doesn’t make you feel sticky and its also cruelty-free- result! There was only a tiny bit left and after we had some actual summer weather here in England I decided to finish the bottle before it went off. Would I repurchase? Yes if I can get hold of it in Duty Free again as it’s out of Stock on the John Lewis website where it used to be available. Another part bottle finished, in the hope that I might be able to enhance my tan after sitting in the garden for a few hours. Again this is nice and lightweight and doesn’t smell at all and it’s also really cheap so is perfect if you need to pick up a couple of bottles for a longer trip. Would I repurchase? If I need more for my holiday then yes, but I do already have a spare bottle. First this face and body scrub smells like Terry’s Chocolate Orange which is already a plus. I’ve been using this in the shower as a face scrub to help get my skin ready to summer and I’ve been really enjoying using it, but I’ve also used it as a foot scrub so really it’s suitable for anything. The brand is really sustainable as the scrubs are made from recycled coffee grounds and are suitable for vegetarians and vegans, so perfect for you or a veggie friend. Would I repurchase? Yes definitely, I loved this scent but I think I would be tempted to try the other flavours too just to see which is my favourite, I think the Hangover Minty Scrub will be my next choice. Can you tell that this month I’ve been exfoliating a lot? This one smells nice like coconuts and wasn’t too gritty. This range is available from Marks & Spencer and is cruelty-free and also inexpensive and features lots more scents and items. Would I repurchase? If I could yes but it’s out of stock online so hopefully that doesn’t mean it’s being discontinued. Now I like this because it smells nice and it was really good to use before fake tanning, again it’s cruelty-free and its very inexpensive. However, I have a shower and this is in a pot, which means a lot of this was wasted as the pot kept filling with water. If this came out in a tube it would be perfect or even if you have a bath so can sit the pot on the side it would work much better. Perhaps i’ll save a repurchase of this one until i get my bath in my new student house. Would I repurchase? Yes when the bath/ shower situation has been sorted. I won’t go on about this one as it’s not the first time I’ve mentioned it, this is brilliant as an intense face mask or to really scrub dead skin away in the shower. Overall verdict- I love it, also another one to clear the old sinus’s if you’re a bit bunged up. These are a great pair if you have a dry scalp, they left my hair feeling smooth and silky and they are decent size bottles as well. Josh wasn’t as keen on the shampoo on it’s own but as I always condition my hair I didn’t notice a problem. Would I repurchase? Probably yes at some point but for now after a couple of bottles I’m ready to try something new. 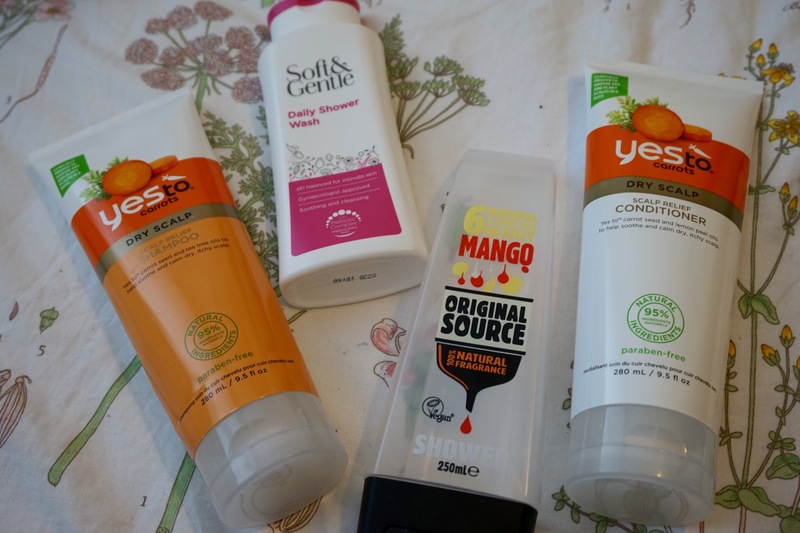 Here I am again with the Original Source, if you read my May Empties you would think I’d be sick of the stuff after finishing 4 bottles last month, but I decided to give the Mango scent a try as I’d never tried it. This was nice and refreshing, perfect for mornings, these gels are also really cheap and Vegan! This is a Ph balanced shower gel designed for women’s intimate skin, there’s no point pretending these products don’t exist because they do and women use them so why not include them in an empties? To be honest I didn’t really notice this wash doing much so I wouldn’t say it’s essential to a shower routine I just thought it was worth a try. It smells fresh and the bottle lasted a while. Would I repurchase? No because it is not cruelty-free and I don’t feel it is needed. Anybody that knows me, knows I love Soap & Glory, I also love The Righteous butter, this new cream body wash makes bold claims at doubling up as a shaving cream, yet I was so disappointed. I finished the tube to give it a fair review but this is the only S&G product I have ever tried and not liked. I ended up with numerous cuts when using it for shaving, it came out of the bottle in big clumps which instead of rubbing into your skin, dropped to the floor of the shower and washed away. I also found this quite harsh, the scent was overpowering, it stung terribly when it splashed in my eye and it irritated the cuts from shaving. Unfortunately this wasn’t for me at all but I’m going to give Soap & Glory the benefit of the doubt as I love everything else of theirs. Would I repurchase? 100% No. I won’t bore you too much but this is my new favourite shaving gel, I’ve already gone through a couple of these and they seem to do me fine for shaving my legs. 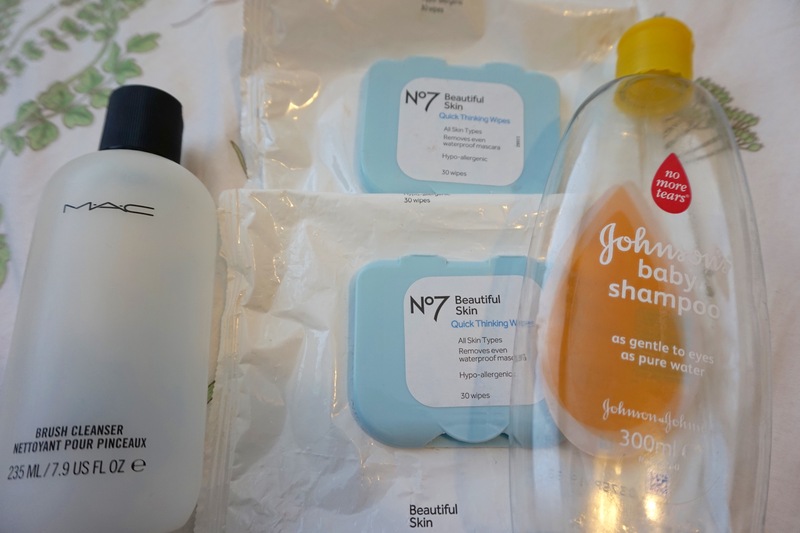 Again I won’t bore you with repetitive reviews but I can pick these up really cheap with my staff discount so I always stock up when they hand out the £5 off skincare voucher at the tills in Boots. I use these to remove swatches, wipe my hands after primer and foundation and in cases of real emergencies, remove my makeup with these (Although I avoid it at all costs). I’ve had this for a long time so I’ve just been trying to finish up this bottle. It is a really good spot cleaner for eyeshadow and foundation brushes and would be ideal to keep in a professional makeup kit, although I do think £12 is expensive for a makeup remover. Would I repurchase? No, I’m no longer purchasing from Mac, I just finished the bottle to not be wasteful. I use this for deep cleaning my brushes, I find baby shampoo works the best, leaving my brushes soft and smelling great. Would I repurchase? No as Johnson & Johnson are not cruelty-free, so now I buy the Superdrug Baby Shampoo which is essential the same thing. Unusually, this month I finished a fragrance, I bought this last Christmas with a voucher from my Grandma and Grandad. I really enjoyed wearing this scent as it is sweet yet grown up and can be worn for everyday or evening events .The bottle is gorgeous if that’s something you consider and people always ask me what I’m wearing in this. Would I repurchase? No as I still have fragrances to use up and it’s not cruelty-free. If anyone can suggest some nice cruelty-free perfume please leave a comment below. 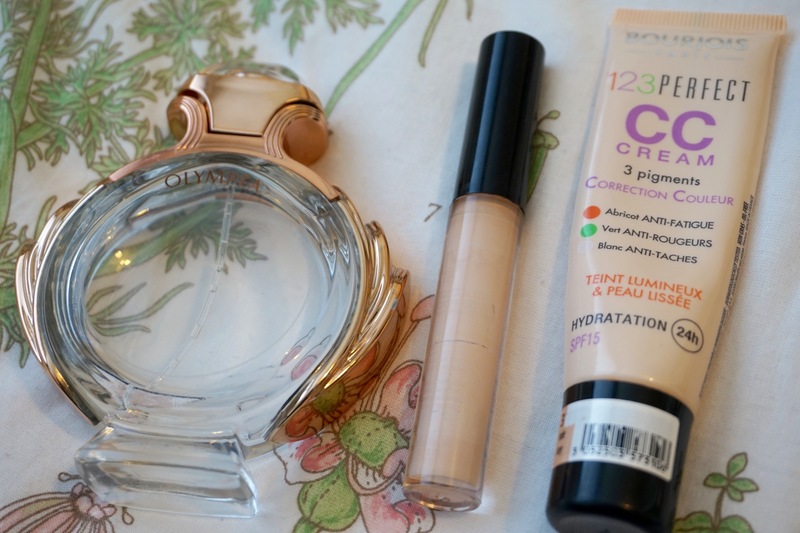 This is my favourite foundation, it’s lightweight, gives an even coverage and leaves my skin looking glowy. I’ve gone through a few bottles over the years and I’m down to one now over at Josh’s flat which is also nearly running out. I apply this with a wet sponge for the most flawless coverage. Would I repurchase? I wish I could but no as it is not cruelty-free, again hit me with any suggestions for similar (Ie. Not full coverage or matte foundation). I already talked about this concealer when I finished my darker shade last month, but now I’ve finished my paler shade too. Again I love this, it gives good coverage but isn’t cakey so it’s great for under eyes and its very inexpensive for the quality and comes in a wide shade range, including colour correctors. Would I repurchase? Yes when I’ve used up my Nars and Collection ones. 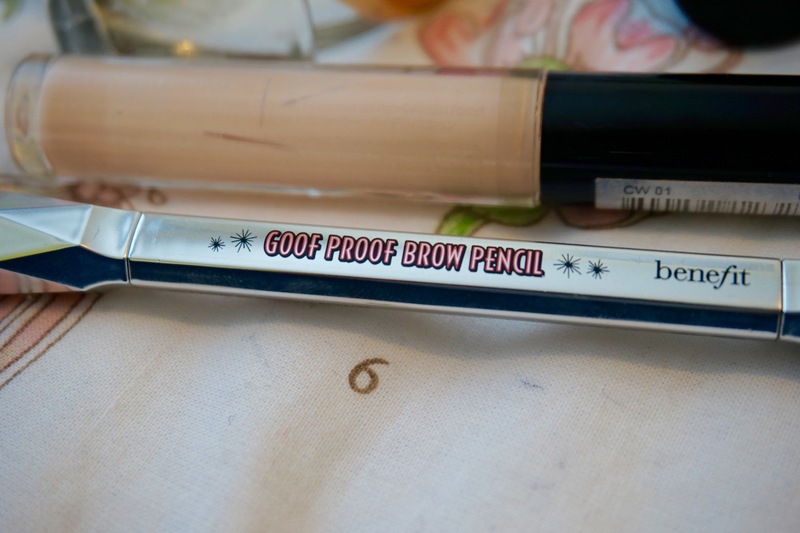 This was a really nice brow pencil of waxy constancy with a spoolie brush on the other end- perfect for travel. This product achieved a natural look but allowed you to fill in any sparse areas of the brow. This was the perfect colour for me, so if you are blonde I would highly recommend this (Not orange or grey- HALLELUJAH). Would I repurchase? No as Benefit are not cruelty-free but I did really enjoy using this so it’s a shame. Okay so if you got to the end of this mammoth empties post, I would like to congratulate you and offer you a pat on the back, well done you have serious commitment. What products have you been using up this month? Do you have any differing opinions to me? Let me knew in the comments! Loving these empties! Your June faves just might become my July faves! I love the look of that Scrub (the coffee one). 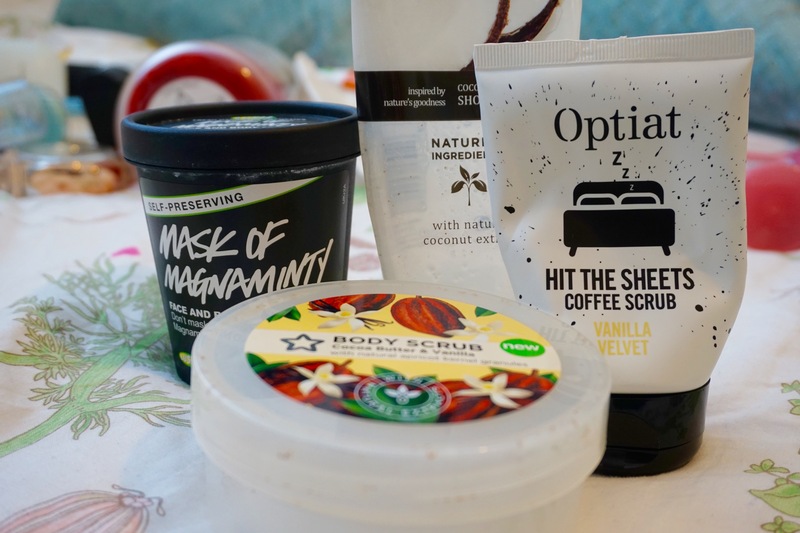 Thought I’d check it out, because I’ve spent ages looking for a non micro plastic scrub that doesn’t use walnut shell (I’m allergic to nuts), but sadly it has almond oil in! I bought some of the mango original source shower gel the other day 🙂 looking forward to trying it! For this month, I’ve been loving acure’s pore clarify mask, laneige’s sleeping mask, Colourpop’s ultra matte lipsticks, Origin’s mud mask and Origin’s night creme :). I have the NYX concealer and it works alright, it’s possible I may have gotten a shade too light. lol I see and anytime 🙂 you should! they are so pigmented and you can’t beat the price.